The majority of the cities on the list are *Muslim majority or with huge and rapid growing Muslim population. Low standard of living is an inevitable consequence for societies built on brutality and crime. Islam and socialism have always proven a safe foundation for intolerance and protection of Islamic extremism which then expands and spread even further. These are the cities and countries from which people are now flooding into Europe. You’d assume European leaders would have more intelligence and ban these people from their countries, but we see the contrary. The cities with the worst quality of life in the world tend to have the toxic mix of political stability, crime, as well as low standards of living. Every year, Mercer, one of the world’s largest HR consultancy firms, releases its Quality of Living Index, which looks at the cities that provide the best quality of life. Business Insider has already looked at the 27 cities with the best quality of life and also the 17 European cities that are deemed the most unsafe. The ranking is one of the most comprehensive of its kind and is carried out annually to help multinational companies and other employers compensate employees fairly when placing them on international assignments, according to Mercer. *26. Tashkent, Uzbekistan — The capital in the central Asia country has become a hotbed for terrorism over the last year. In 2015, the US embassy in Tashkent was attacked for the first time in 11 years and the government is trying to counteract growth in Islamic extremism. *24. Addis Ababa, Ethiopia — The capital city is going through a building boom but many of its citizens are suffering from extreme poverty. On top of that, social friction between the government and its citizens is high, especially after protests over building plans killed students and farmers. *23. Ashgabat, Turkmenistan — The city is largely controlled by the government, mainly through a large percentage of employment coming from state-owned enterprises. Unfortunately, the city suffers from chronic water shortages due to state mismanagement, which is crippling for citizens where temperatures soared as high as 47.2 degrees Celsius (116.96 F) in 2015. *21. Bishkek, Kyrgyzstan — Poverty is high in the economic centre of the country. Meanwhile, the government is battling continual attacks from members of Islamic State — also known as ISIS and Daesh. *20. Lagos, Nigeria — The country’s largest city battles environmental threats, such as riptides, annually. Citizens are also under continual threats to their personal safety, including the kidnapping of students and murder. *19 (joint). Dushanbe, Tajikistan — Poverty and energy shortages are a huge issue for the city and country as a whole. 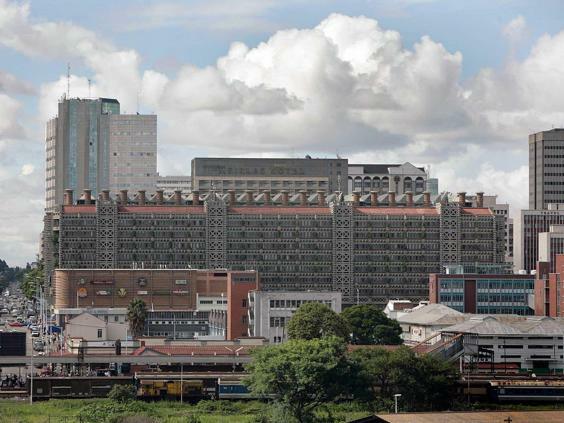 The World Bank also warns that doing business there is difficult due to the inadequate infrastructure. *17. 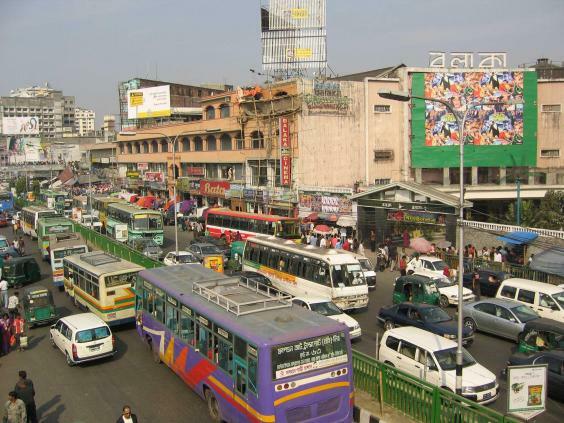 Dhaka, Bangladesh — Dhaka is one of the world’s most populated cities and its garment exports bolsters its economy. But working conditions and human rights, as well as local poverty for a bulk of its citizens, are criticised and under scrutiny by world governments and charities. *16. Ouagadougou, Burkina Faso — The city is under continual threat of terrorist attacks and earlier this year, an Al-Qaeda bombing on a popular hotel killed 29 people. *15. Tripoli, Libya — The city was carved up by two rival warlords last year and even the main airport was destroyed in the summer of 2015 and all the main embassies have been closed down. Migrants and refugees are also flooding into the country due to its proximity with Europe. *14. 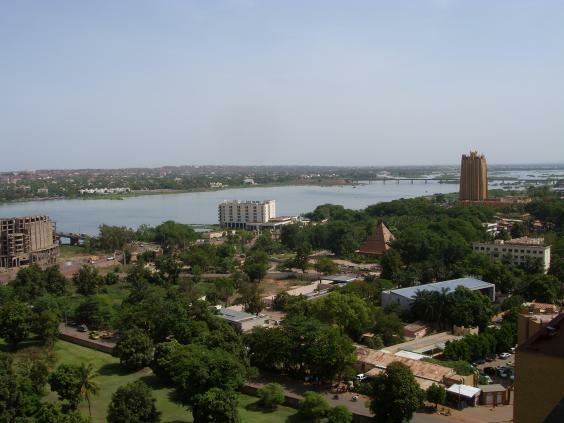 Niamey, Niger — Protests, governmental corruption, and local poverty place this city onto the list. *12. Bamako, Mali — The city was rocked by terrorist attacks last year when Islamist militants took 170 hostages and killed 20 of them in a mass shooting at the Radisson Blu hotel. *11. Nouakchott, Mauritania — The city was originally a small village of little importance until 1958 until growing rapidly into one of the biggest cities in the Sahara. However, overcrowding, droughts, and poverty have helped fill the city with slums. *6. N’Djamena, Chad — The city in one of the world’s poorest countries has suffered at the hands of militant Islamist group Boko Haram. The group carries out frequent suicide bombings in the city. *5. Khartoum, Sudan — It’s the second largest city in Sudan and is a key recruiting ground for ISIS. 4. Port Au Prince, Haiti — The city is rife with violent crime and is dangerous for travellers. Rapes and robberies are common and there is a worrying growth in vigilante violence. *3. Sana’a, Yemen — The largest city in Yemen has been devastated by airstrikes from Saudi Arabia as the country has become a battleground in the proxy war between Iran and Saudi Arabia. *1. Baghdad, Iraq — The capital city has suffered severe infrastructural damage from several wars and continual on the ground violence. It continues to face threats from ISIS. If I had a pound for every time I read the well meaning statement, I would be a very wealthy man. Unfortunately the do-good folks never accept that the first things these muslim immigrants do, is try to bring their religious social practices with them. The very practices that caused the problems in their native lands. We must stop and then reverse the influx of unsuitable people. So true. It is no coincidence that countries which have a majority population of Muslims are constantly and consistently mired in difficulties and chaos. Sir Winston would be jailed for hate speech if the great man said that today. Huh? Most of these countries are not Muslim by majority.